Writers and academics Professor Timothy Garton-Ash, Professor John Worrall, Dr Helen Czerski, and Dr Kate Fox have all been appointed as patrons of Humanists UK in recognition of their considerable contributions to culture and human understanding. They join a stable of over 170 other high-profile figures from the worlds of art, science, music, comedy, broadcasting, politics, and activism in helping to advance the charitable work of Humanists UK. Timothy Garton Ash. Photo: Liisa Past. 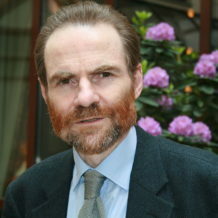 Timothy Garton Ash is a historian, commentator, author, and academic. He currently holds the position of Professor of European Studies at the University of Oxford and is the author of ten books spanning a variety of political, historical, and cultural topics. 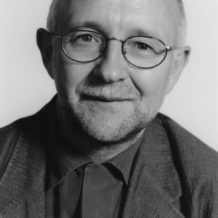 Timothy’s work has mainly concerned the contemporary history of Europe and the European Union as well as the challenge of combining liberal democratic principles and diversity, especially in relation to free speech. A staunch supporter of freedom of speech, human rights, and liberal democracy, Timothy first came to prominence during the Cold War as a outspoken critic of human rights violations and illiberalism within the Soviet Union and Eastern Bloc. Since then, Timothy’s essays and articles regular appear in the Guardian, the New York Review of Books, the Independent, the Times, the Financial Times, and many others. During the 1980s he was Foreign Editor of the Spectator and in 2005 he was listed in Time magazine’s world’s 100 most influential people. 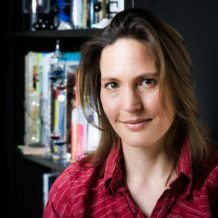 Dr Kate Fox is an anthropologist, co-director of the Social Issues Research Centre, and author of popular social science. She is best known for her international bestseller Watching the English: The Hidden Rules of English Behaviour. Her work has included research, publications, lectures, and broadcasts on many aspects of human behaviour and human nature. Kate is a regular guest lecturer at universities and institutes in the UK and overseas – including University of Oxford, UCL, Chatham House, The Royal Geographical Society, The Royal Society of Medicine, Brown University, University of Venice, the Science Museum, the National Portrait Gallery, Intelligence Squared, and the Oxford Union. She has also been a columnist for Psychologies magazine and contributor to the New Statesman. John Worrall. Photo: London School of Economics. John Worrall is Professor of Philosophy of Science at the London School of Economics. After discovering a love for philosophy attending the lectures of Karl Popper as an undergraduate at the LSE, John went on to complete his PhD and has continued to work as philosopher in the same department ever since. Much of John’s published work and professional interests centres on evidence; initially theories of evidence in scientific revolutions, and more recently evidence in the field of medicine. He has also written on the irreconcilable conflict between religion and science as means to understanding the universe. 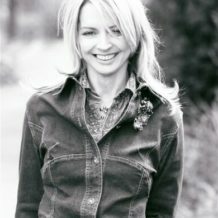 Dr Helen Czerski. Photo: Alex Brenner. ‘All of Humanists UK’s patrons are people who have, in one way or another, contributed to the promotion of human happiness and humanist ideas in the world today.